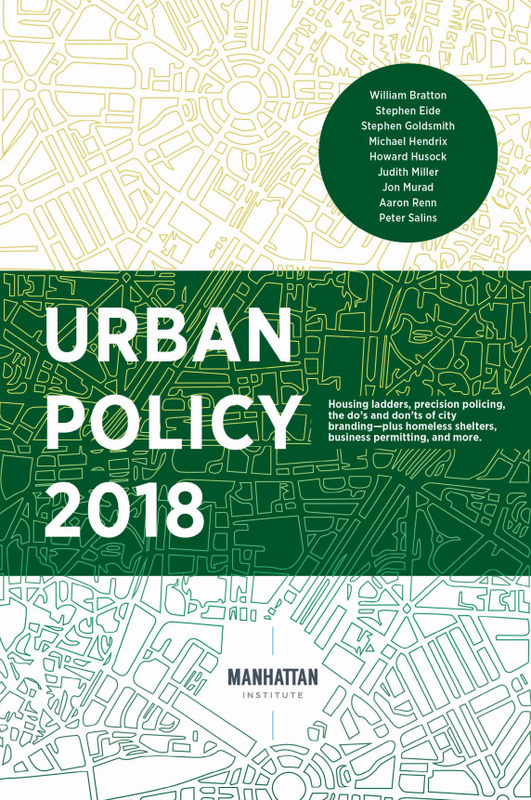 Editor's note: The following is the eighth chapter of Urban Policy 2018 published by the Manhattan Institute. Major sectors of our economy—banking, retail, health care, hospitality—highly value the user experience (UX) and depend on it for managing their businesses. Increasingly complex and powerful tools analyze massive amounts of data and deliver that information in ways that allow customers to fulfill their needs and store managers, hospital administrators, and financial advisors to best do their jobs. 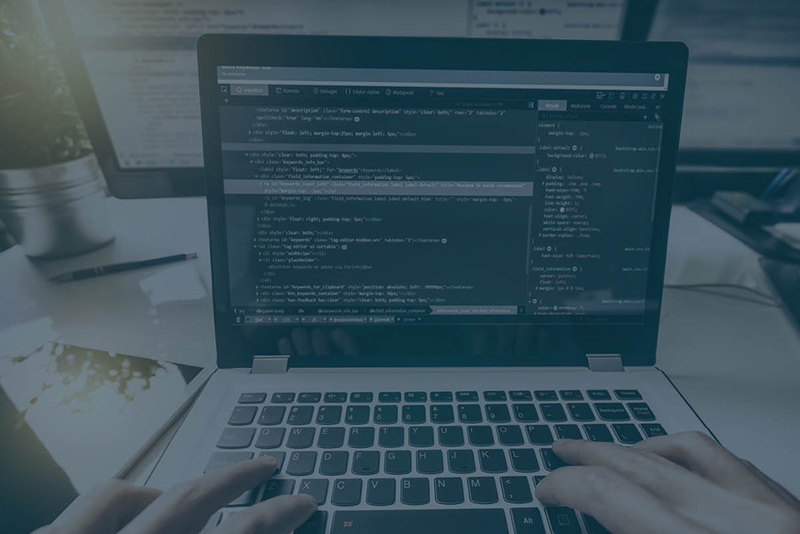 In the tech world, software developers see users’ experience with their apps as crucial for a company. If users find the experience slow, complex, or not intuitive, they will abandon their search, delete the app, and retain a long-standing negative impression of the company. In the private sector, someone is almost always relentlessly working to improve UX. Cities don’t operate this way; instead, they follow a strict, rule-driven process. This is not an oversight. For generations, Progressive-era reforms sought to replace corrupt, Tammany Hall–style municipal government, fight off favoritism and arbitrary decision making, and send a message to citizens that their cities were being professionally managed. Unfortunately, professional management has often enough been purchased at the expense of responsiveness to citizens’ concerns. Instead of studying the people who use city services and designing these services the way a company would design them—around the customer—city hall designs its responses around agencies and the bureaucracy. The result can foster public cynicism and an accompanying loss of trust between the governed and their governors. The commercial and social worlds benefit from distributed systems, with multiple actors adding information and forming collaborations that produce better collective and individual results. Consider, for example, shopping on Amazon, an experience powered by a savvy mix of data and the coordination of many different organizations. Multiple vendors offer their products, many other shoppers help you decide which choice is right for you, and credit-card companies and shipping companies lend their services. Many actors are working together to bring that package to your door. Governments today are far from providing this type of intuitive and simple user experience. Still, by combining innovative technologies with municipal mind-sets and systems, local governments can create structures that: (a) allow residents to reduce the friction of doing business with the city; (b) help them more easily understand government policies and actions that affect them; and (c) facilitate broad citizen involvement. This paper lays out principles and suggestions for cities to improve citizens’ UX and trust in government. With that trust—and with platforms and digital tools that make citizen involvement easier, more effective, and more powerful—city hall can build something new: a hybrid public square that can improve the quality of life. The ambiguity is understandable. In the current system, how is a civil servant in the street department supposed to engage in a meaningful, open, productive dialogue about a neighborhood problem that involves overlapping issues and multiple public and private agencies? Moreover, a system that is open to resident input but accessible only with great difficulty cannot produce a level of public engagement that officials can feel is truly representative, let alone create conditions that allow for collaboration between residents and government. For cities, users are the residents, and their experience includes all the ways in which they interact with, or receive information from, government: visiting government websites, receiving water bills, having an experience with a city employee or contractor, seeing charts at community meetings or signs posted in offices, dealing with call centers, and more. Each of these interactions builds or erodes a citizen’s trust that the city cares about him and that it operates in a fair, open, and competent manner. Regardless of how the contact originates, digital tools can connect residents and the city in a way that demonstrates that the city is listening and anticipating issues. When I lived in Washington, D.C., I eventually stopped calling for a yellow cab, since the wait times were so long and the eventual responses so problematic. It is no wonder that Uber draws so many users to its app platform. Similarly, city officials should abandon the notion that the public should be pleased to receive government services, no matter how difficult the experience. Having the choice of calling or using an app to request a taxi or a ride illustrates an important lesson. Today’s citizens are used to communicating across many media, so officials should adopt an omni-channel approach. Residents should be able to choose the best channel for themselves, and officials should relentlessly focus on citizen satisfaction in each of these channels and across the system as a whole. One person might wish to avoid a visit to the department of motor vehicles, no matter how pleasant or efficient it is: that person would much rather replace a lost driver’s license online. Another “customer” might want to talk to someone face-to-face and would appreciate a more pleasant atmosphere and better customer-service training for the staff. A government that offers citizens an array of options is truly considering the full user experience. Text messaging (SMS-based services), for example, is “less intrusive than phone calls, cheaper than Internet-based services, and more flexible in time and place as the recipients can read the messages at their leisure and choose when to respond.”3 A city or state government organizing itself around its citizens will offer multiple communications channels and encourage customers to migrate to the channel that they find easiest to use and most efficient. At the same time, digital options give the government the option to coordinate service delivery across channels. Technology moves quickly, and a city 311 call center strictly focused on the telephone has become outdated. Chicago and New York are examples of cities that are fundamentally rethinking the role of their contact centers. The goal or vision is a platform incorporating a seamless, omni-channel experience for citizens and service providers. It should provide personalized accounts for residents and use enhanced, open-data capabilities, including integration with the Internet of Things (IoT) sensors that report impending problems or issues. As a result, 311 has the capacity to provide much more customer choice and convenience than just operators who answer questions and complaints. Automated, outbound notices can provide individuals with information directly targeted to their life: a road closure in his neighborhood, changed times of her child’s park program, a late school bus, or the impending expiration of a recycling-center permit. To increase the number of citizens who become involved with municipal programs—and the effectiveness of the programs themselves—cities should pay close attention to how they design outreach. In 2016, the New York City Mayor’s Office of Immigrant Affairs (MOIA) took on the task of increasing the number of residents who applied for citizenship. It immediately learned that many who could benefit from citizenship did not understand the value of doing so. A city need not stop there. It could combine its own open data with other available sources and use helpful tools such as geographic information systems (GIS), imagery, augmented reality (AR), and user-added photographs. Consider South Bend, Indiana, which is aiming to combat abandoned buildings by creating maps of city data such as delinquent property taxes and code complaints, aided by pictures posted by residents—all available to a neighborhood leader working to address the issue. Virtual scaffolding can also be a powerful tool for equity, fairness, and transparency in government. Information presented in contexts can make it easier to discern city response times by community, for example, or traffic stops by race. Information about areas of the city that are affected by poverty, blight, lack of jobs, or poor transportation, presented in well-visualized, interactive formats, allows residents and the media to better understand underlying factors that affect these communities, as well as patterns of service delivery. When applicable, this information can help the city recognize needs and help residents advocate for change. Moving from a self-centered organizational structure to a municipality that places the resident at the center provides a shared sense of community and communicates a sense of respect from the city—both of which build a sense of trust in local government. Providing citizens with more information, more easily understood and in a more complete context, is one big step forward for city hall. Another step is to work more closely with citizens to improve city services. Take, for example, functions that have come to be considered an inherent responsibility of government, such as preventing fires or preventing foodborne illness. Expert firefighters and restaurant inspectors will be better than the average person at understanding the conditions that would cause harm. Yet residents can use social media or report directly to the city about conditions that it would not have known about. Every day, city dwellers observe what could be improved. They may see how trash cans could be placed differently, or who is responsible for graffiti, or where the bus stop could be better located. They may spot a city employee who is doing an outstanding job—or not. Local governments cannot depend on officials alone to engage deeply enough or in a totally representative fashion to do these kinds of things and take the appropriate action. A digitally engaged public can change this. Current approaches reward a select group of outspoken individuals who show up at meetings—often to complain about policy or plans but too late in the development process to be useful. In today’s digital world, constructive interactions can occur much earlier, and the city itself does not have to dominate the interactions. Environmental and gardening groups, a seniors’ chess group, or a children’s soccer association may have their own websites for organizing local activities. The city needs to know about and mine information from these public sites, as well as from open social media such as tweets. On occasion, these groups may engage in a planning exercise or suggest a problem in need of regulation that would produce a discussion thread to inform action; in some circumstances, the city could be explicitly involved as a partner and participant. When developing a solution or a policy, the city should ensure that outside actors participate early and in an iterative way. As deputy mayor of operations for New York, I was responsible for reviewing the cost and benefit of regulations. Since the group tasked with the work employed no economists, I asked if we could do our evaluation with proxies—i.e., ask the community how they would solve the problem and which solutions produced the best result. I was told that city departments posted proposed regulations. Yet at a small community meeting, when one small-business owner complained about the huge cost inadvertently imposed on him by a new regulation, he correctly observed that he didn’t follow the city’s regulations full-time—and even if he did, he didn’t see how he had any clout to change a regulation that was already proposed by the city. Early outreach about how to solve a problem, done in a collaborative way, can fashion a response based on collective insights. This collaboration need not be a one-time event; for each issue, the process will require repeating the questions and plans as the dialogue progresses. In structured conversations about an important issue—say, the location of bike lanes in a community or the construction of a small local park or the permitting of a substantial building—various voices may count more than others because of their proximity to a problem or because of their training. In some circumstances, anonymous voices may be important but carry less weight. Participation in the discussion can vary from open to highly structured by city hall. Sometimes, city officials will institute a careful set of parameters and control the framework. One can imagine zoning options for a large parcel of unused land, where the planners have an array of ideas for community participation and provide the options for comment to involved residents through virtual-reality tools that help them imagine the consequences of various choices. An organized process, with structured questions and planning, can increase the quality of participation and the likelihood that the input would produce a better public result. In other situations, the city or a strategic partner might more openly ask for suggestions or input. In all situations, the standards for openness and participation should be provided by the platform provider and clear to all involved. It is not necessarily the government’s function to ensure participation of uninterested citizens. It is, however, the government’s responsibility to increase participation where it affects the distribution and quality of city resources. This could mean using tools to ask residents living in underserved communities to text back whether they were satisfied with the courtesy of city employees providing a specific service or to grade whether a program such as government-provided job training actually helped a job seeker. These actions could broaden input and increase the legitimacy of local government—if city hall reacted to and acted upon the information received. When I was mayor of Indianapolis in the late 1990s, my administration created the Front Porch Alliance, a very loose group of community partners—small civic organizations, houses of worship, and local leaders who were identified as neighborhood assets by city officials. The alliance assisted these organizations to do their good work. For example, it would find a gift of older computers for a church preschool that wanted to get their kids online. Or it would use city equipment and local volunteers to fulfill a community wish to turn a trash-filled lot into a playground. We can think of the model in bilateral terms (the citizen and city hall) but also as a platform or social format, with several participants involved. For example, the city, informed by social media posts about a neighborhood park cleanup, would offer trash pickup services; the city might build on the successful cleanup by installing new playground equipment. Or one could imagine a totally new relationship between the city and residents regarding the park, with recreational programming organized by local groups, flower gardens contributed and maintained by neighbors, lighting replaced by the city when its sensors report that bulbs have burned out, and city cleanup crews brought in by pictures of graffiti posted by neighbors. All this progress would be visualized and available in digital formats. These “socio-spatial infrastructures” weave together information and communication technologies and digital networks.10 The blended spaces can engage residents in diverse ways. In a neighborhood experiencing high crime rates, for example, the city, a community block club, and a local social-services agency could create a partnership. The city would share crime data and target code enforcement for dangerous, dilapidated buildings. Volunteers would provide information on crime hot spots in the community and willing hands to clean up trash-strewn lots, and the agency could offer after-school activities for at-risk youth. This campaign could be spurred by virtual reality that allows residents to visualize how the community could look after resident and municipal investments. The conversation could include the social media participation of supporters at the local high school adding content by text or images. In the hybrid public square, activities have more transparency. Air and sound sensors can help protect and monitor schoolyards. In some places, cameras can assure safety. Public websites can help upload and stream video and photos of activities so that residents can see what’s going on. Yet for true breakthroughs, the city will need to support the digital equivalent of the Front Porch Alliance, where a small staff works with agencies and community organizations to expand digital literacy and participation in all these efforts. The hybrid public square allows the city to build or strengthen strategic partnerships with nonprofit intermediaries. In Chicago, for instance, the city and its Smart City Collaborative help community groups obtain information about their communities and participate in user testing of the collaborative’s new applications. The user group helps the city properly configure its applications. A recent application involves a test of the Chicago Parks District website to understand the resident experience as part of a redesign plan to enhance the user interface. Reforming the way city government interacts with its citizens and citizen groups—providing more information and more data, in a usable manner—is a nontrivial undertaking. Digital reforms bring complications due to the complexity of discovering and synthesizing competing interests.11 In addition, many public employees do not actually trust community feedback, having been burned by self-serving and self-appointed community “representatives.” These civil servants see public input as unavoidable—a gauntlet to be run through as quickly as possible, where the highest hope is that nothing bad will happen. Most problems of interest to residents involve several levels of government as well as multiple agencies, and all will need to work together. Employees with more digital literacy are taking the place of retiring officials, but they will need leadership and the broad training of current employees in order to create a culture of collaborative problem solving. A new generation of public employees will need to be trained to work with iterative social media platforms to understand and utilize community, consumer, and small-business suggestions. Leaders can overcome the resource limitations when they demonstrate that insights from data and participation can redirect resources to where they make more of a difference. Officials will need to make the case about reinvesting those resources to support the necessary technology tools. The good news is that officials do have the digital tools for reform. The opportunities now exist to rethink and re-create how city hall talks to, interacts with, and collaborates with its constituents. 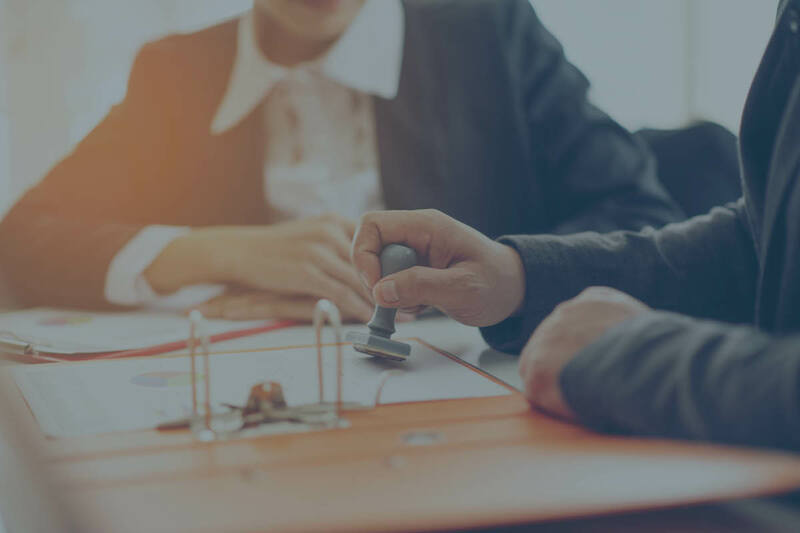 These new digital tools, when combined with leadership and a data-literate workforce, will provide services that are more responsive and, in turn, create more trust and confidence in government. Suhyun Baek and Sunah Kim, “Participatory Public Service Design by Gov.3.0 Design Group,” Sustainability 10, no. 1 (January 2018): 250. Some of the content used in this paper and several of the concepts are derived from a recent book: Stephen Goldsmith and Neil Kleiman, A New City O/S: The Power of Open, Collaborative, and Distributed Governance (Washington, D.C.: Brookings Institution Press, 2017). Tony Dwi Susanto and Robert Goodwin, “User Acceptance of SMS-Based e-Government Services: Differences Between Adopters and Non-Adopters,” Government Information Quarterly 30, no. 4 (October 2013): 491. Stephen Goldsmith, “Artificial Intelligence Will Help Create a More Responsive Government,” Government Technology, January/February 2017. Sean Thornton, “OpenGrid for Smart Cities: Civic App Replication Goes to Market,” Data-Smart City Solutions, May 26, 2016. Zulqarnain Rashid et al., “Using Augmented Reality and Internet of Things to Improve Accessibility of People with Motor Disabilities in the Context of Smart Cities,” Future Generation Computer Systems 76 (November 2017): 248–61. Stephen Goldsmith and Chris Bousquet, “Boosting Engagement by Gamifying Government,” Government Technology, September 2017. Mohammed Aladalah et al., “Public Value Co-Creation via Gov2.0 Complexity Cube,” in Laura Alcaide Muñoz and Manuel Pedro Rodríguez Bolívar, eds., International E-Government Development: Policy, Implementation and Best Practice (Cham, Germany: Springer International, 2018). Carlos Smaniotto Costa and Konstantinos Ioannidis, eds., The Making of the Mediated Public Space: Essays on Emerging Urban Phenomena (Lisbon: Edições Universitárias Lusófonas, 2017), p. 10. Stephen Goldsmith is the Daniel Paul Professor of the Practice of Government and the Director of the Innovations in American Government Program at the Harvard Kennedy School of Government. Previously he served as mayor of Indianapolis and as deputy mayor of New York.